Be a Winemaker for a day! This is a spirited competition and winners get bragging rights for a year! Have you ever dreamed about making your own wine? 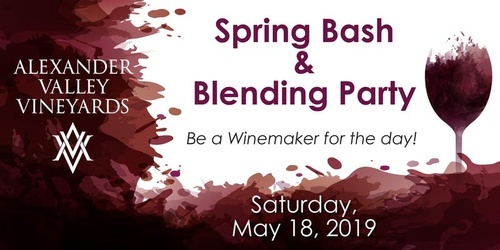 AVV's Annual Spring Bash is your chance to join a team, sample components and then create a blend. Winemaker Kevin Hall will lead you through the process, then select the top blend. The winning team’s name will be featured on the next vintage of our Wine Club Reserve and each member of the team will receive a magnum of Sin Zin. The blending competition is followed by a gourmet luncheon on the Wetzel Family garden patio. This is a fun, yet educational wine event.